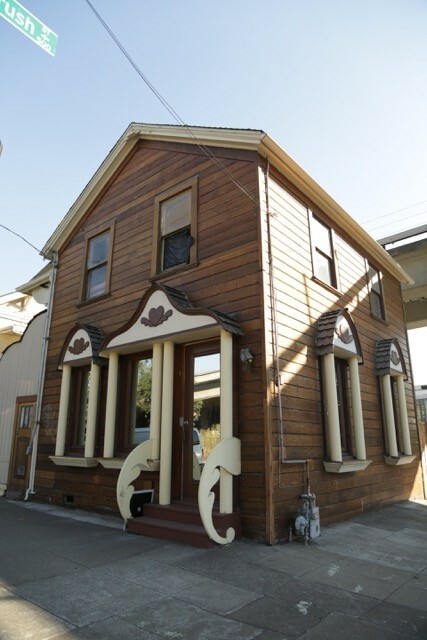 745 5th Street in Oakland, in the historic Gingerbread House building. We provide a rotating selection of our most popular and interesting cupcakes and cake pops, including dairy, egg, and gluten free options! Cupcakes are $3.50 each in the store, or 6 for $19 or a dozen for $36. We sell cupcakes, cake pops, cookies, and coffee/tea in our store. Mini cupcakes are available by special order only. Call ahead for our daily selection: 510-301-4757 - or place a custom order online at any time. Custom orders may also be picked up at other times by appointment.